I breastfed my three children but I had to persist, and it definitely didn’t come ‘naturally’. Along the way I had many, many questions. Was my baby getting enough milk? How long should each feed be? If you are breastfeeding there’s a handy new app available called Breastfeeding Central. The Breastfeeding Central App is a convenient resource app written by board certified lactation consultant Beverley Rae. Beverley has had over 25 years as a lactation consultant (check out her website). Breastfeeding Central gives you answers and information about all things breastfeeding. The app guides women through every stage of breastfeeding, from preparing during pregnancy to returning to work. Breastfeeding Central brings expert information, support, and an international help finder to the palm of the new mother’s hand and favourite sections can be bookmarked. 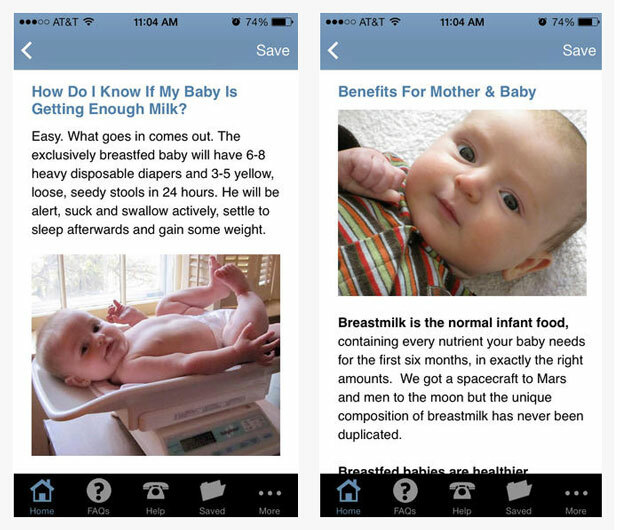 It’s like having a breastfeeding expert 24/7 on your mobile device! Breastfeeding Central is $3.99 and you can download the app from iTunes here.